Herman’s Hermits is one of the most anticipated Branson shows to perform at the Andy Williams Moon River Theater in Branson for two consecutive days on October 6 and 7, 2017 at 7 pm and 2 pm, respectively. This popular band will give you a little taste of British pop as they come to the Branson stage performing hits such as “I’m Into Something Good” and “Mrs. Brown, You’ve Got a Lovely Daughter”. Herman’s Hermits is sure to impress any fans of British pop music. With their easy-going pop rock sound, you will be transported back to the music era of the 60s. 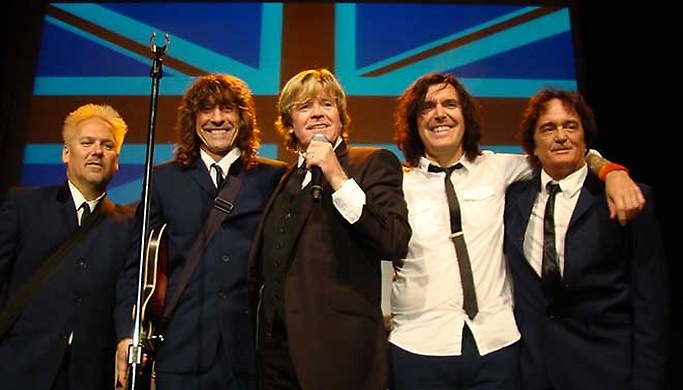 Get ready to hear the greatest hits of the 60s from Herman’s Hermits starring Peter Noone as he sings all of the biggest hits of the band including “There’s a Kind of Hush,” “Wonderful World,” “A Must to Avoid,” and many more of your favorites. Don’t miss this British band, reminiscent of the Beatles, where all British pop fans sing and dance along with their music. This Branson show will be a blast at the Andy Williams Moon River Theater. The concert of Herman’s Hermits starring Peter Noone is a great show that features the music of the 60s and brings back a lot of memories. Peter don’t just sing Herman’s Hermits songs, but he also has a collection of songs from the groups from Britain from the British invasion era of the 60s. This show which brings a taste of British pop music will last 90 minutes. If you love the music of the 60s, visit Branson this fall, and don’t miss to see Peter Noone Herman’s Hermits concert at the Andy Williams Moon River Theater.